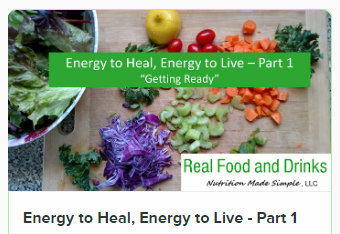 Real Food and Drinks – Food is a big part of healing – keep it real! ... instead of feeling energized? You don't have to accept being low on energy. You can put a stop to these uncomfortable symptoms. Gain energy! Get rid of brain fog, body pains & digestive issues! Energy to Heal, Energy to Live, Part 1 - FREE! You may be doing all the right things to better your health, but there is one thing that you must do to generate the results you want. I didn’t see permanent results until I learned this specific key. Join me in this FREE course to learn how to make every effort you put forth more effective. 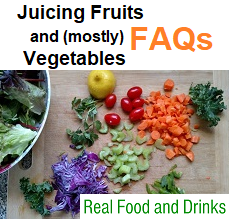 How would you like an exact guide to what you can do to better your health? This course is an easy and straight-forward guide. 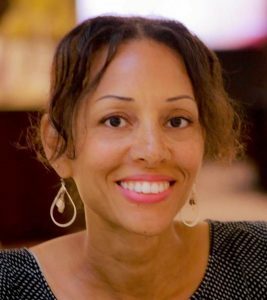 You will learn how to enhance your energy and rid yourself of all those uncomfortable symptoms that you are experiencing. Easy exercise and movement guidelines (It doesn’t have to be difficult). 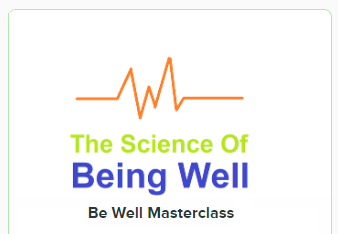 Study what is required for healing and being well as outlined in the book “The Science of Being Well” by Wallace D. Wattles. There will be 4 weeks of online face-to-face webinars during which course lessons will be reviewed and a specified time for questions and feedback. Note: If you enroll in this course, its webinars and the group membership are also included as a bundled package. When you subscribe to RealFoodAndDrinks.com you will receive a link to download the following documents. Also, you will be informed when new documents become available and of website updates of new recipes and blog posts. 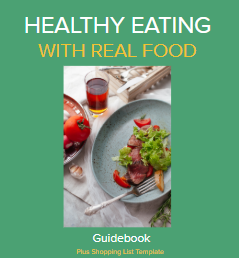 “Healthy Eating with Real Food Guidebook”– can serve as your healthy guide to improving your food choices. In fact, it contains the same information that I use for guided grocery store tours. 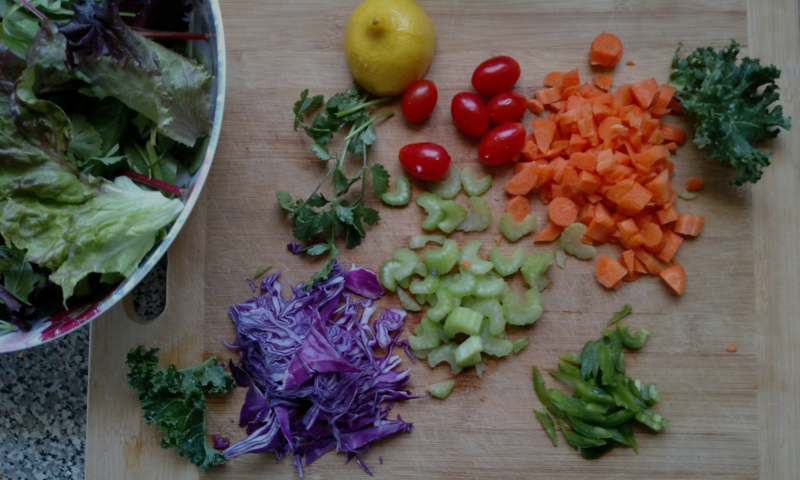 This guide includes advice for making food choices within all food groups. It also includes a bonus ‘Shopping List Template’ to plan ahead and make real food grocery shopping easier. 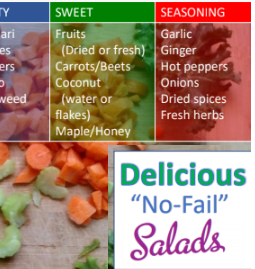 Delicious No-Fail Salads – Guide to transforming a salad into a satisfying meal. Includes tips for making salad dressings.